"Show me the pictures. I hope you clicked many of them." "What did you bring from there?" It's been close to two months since we've come back from our vacation and we are still being plagued by these questions. Some people prefer to right away ask these instead of asking how our experience was or what places we visited. It is really annoying, to be honest. Travel to me was something new until I met my husband. Right from when we started dating, we started traveling together and we enjoyed it a lot. As people who can talk non-stop, we were each other's perfect travel companions and since our thoughts and ideologies match, we love traveling together. Initially, it was all the thrill about the travel. I used to take a lot of pictures and check in on Facebook as often as I could. After a couple of vacations, it was all about the place and the person that I'm with. Nothing else mattered after that. Recently I saw a tweet where a girl has complained about how some people make travel all about glamor. The same girl had gone ahead and mentioned that how she has bills to pay and how she is left with 500 rupees in her account at the end of the month. Travel does incur an expense, but that is not the only thing about it. 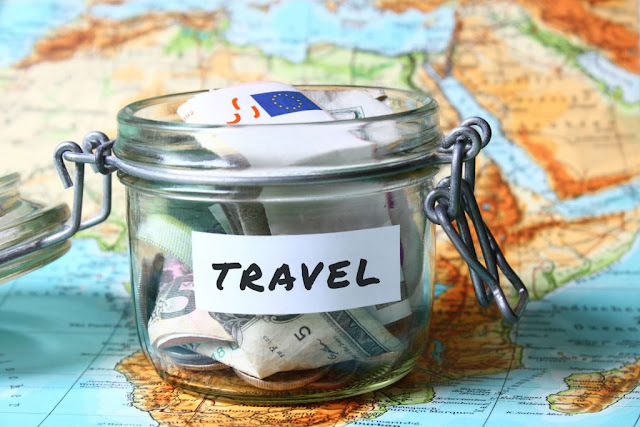 Travel is not only for the rich and elite, it is all about prioritization. If it is important to you, you will make time for it and set aside money for it. Or at least you should try to. Nothing comes free in this world, neither does travel. While we were in Amsterdam, we met an aged couple from Britain who asked us if we were here on work. We said no. When he asked me where I worked and when I told him I work in the IT sector, he assumed that I was here on work. When we told him that we're on a vacation, that we ourselves paid for, this was the elderly gentleman's response - "Really? IT must be doing well then". I have seen a lot of people who choose to travel only when they travel on work. Yes, it becomes easier when the primary expense is being handled by the company, but would that really count as a vacation? While some people travel to the places in and around the place they stay in, some don't even do that! Yes, saving money is important, but what about memories and experiences? My husband and I travel because we like it. We like going to new places and learning new things. We try to squeeze in a vacation as and when we can, no matter how long or short it is. But there are people we know who travel only because someone else is traveling. Or if someone else has visited a certain place. Travel is not a competition. For me, it is a feeling and I would do it only because I feel like it. Not for anybody else. Trying to up someone else by traveling to the same place on a higher budget, or taking a vacation to a certain place only because someone else did, is so silly. Travel is not a mandatory thing. You do it only if you want to. Not because someone else is doing it. I know that travel can get expensive, especially when your are traveling abroad. That doesn't mean that you have to show it off. Fine by all means if you are a travel blogger and are getting paid to do it. Else, it only comes out as being a in-your-face show off. I have seen people checking in to an airport the minute they step into it. This is followed by checking in to their destination airport, hotel, restaurants, tourist locations, bars and if available, loos too. Why? I mean why? Why don't you just enjoy the place and the moment than wanting to have to show the world that you are traveling. Only a handful of people close to us knew that we were traveling to Europe. When the others found out, they were surprised that we had not checked in anywhere or put up any pictures. When we said that it was not important to us, people thought that we were being stupid because we had spent so much money and yet not shown it off to the world. Travel is about enjoying the place and exploring the local food and meeting new people, not buying memorabilia and souvenirs for ourselves and everyone back home. While it is okay to shop what you want, travel is not only meant for that. We pick up fridge magnets from every place we have visited and small trinkets here and there, but nothing more. Honestly, shopping is never on the agenda unless it is a trip for the sole purpose of shopping. Another thing that bugs me about travel is having too many things on the itinerary. People try to cover twenty things in a day by stopping at each place for less than ten minutes. What's the use, tell me? Did you get to enjoy the place and the time your spent there? Or was it all about taking a picture in front of that monument and posting it on Facebook? People who hardly use social media suddenly become active when they travel. We did come back with quite a number of pictures, but probably only about two percent of it feature us. We click the place and try to capture the beauty of it in a frame. After a picture or two, we put the camera aside and enjoy the place. As much as I like posing for pictures, while traveling I don't care much about it. I'd rather capture the scene instead of me photobombing it. Most of the pictures I post on Instagram are scenic views and people often ask me why I am not in the picture. That's because I didn't want to be. Some days I wake up to people uploading 100 odd pictures in an album of Facebook. While my first thought is regarding the amount of free time they had to do it, next I always think what is the need to do it? Some of the pictures look so hurried and forced, that you cannot help but wonder if they actually enjoyed the time there or not. The purpose of travel for us is to take a break from monotony, not to take a million pictures. The purpose of travel for us is to experience a new place and make memories, not show off. We travel because we want to, not because our friends/relatives/colleagues/neighbors are traveling. 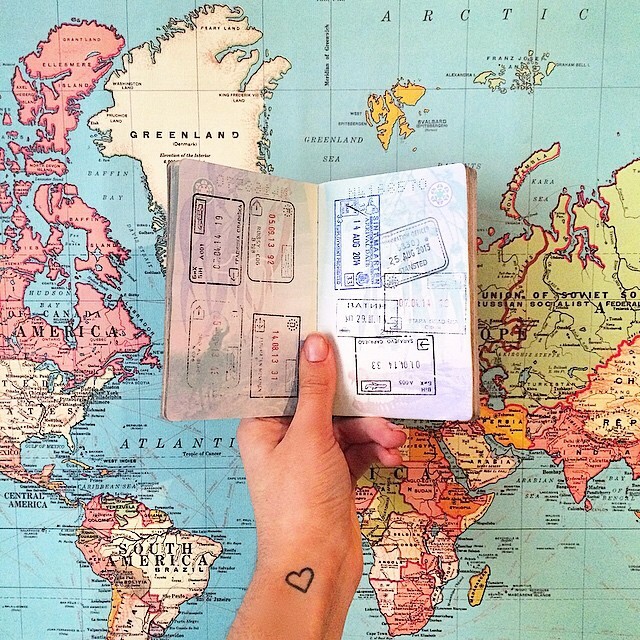 We travel because it brings us closer in new ways, not because we want the world to think that we're rich. We travel because we learn so much about each other during the process, not because we get to check-in online on SM. Most importantly, we travel because it means a lot to us and helps us restore our sanity in this otherwise insane world. Money, people, online updates, pictures, are not even secondary. Having said that, these are my thoughts alone. Everybody has their own purpose and reason to travel. But it is very important to first live the moment before trying to capture it. Or before flaunting it. I agree with you that travel is and should be an immersive experience. I'm all for photos provided they are taken for the right reasons. Yes, excessive sharing of vacation pictures is more likely to cause heartburn than anything else. I think what you've done is perfectly fine. Travel because you want to and capture photos for your own memories. That means more than anything else. Oh yes. People share so much these days. One, it is not safe. Two, it is not needed. Travel should be an experience for self. No one else. Damn, plan something Doc! I'm sure it will be worthwhile. Your photos were a dream 😀😀Thankfully a lot of people I work with are well travelled and they don't care much about facebook... Maybe it's because they are a bit older than I am so the new age social life doesn't impact them as much. Most recently a colleague did cross country cycling with his family in Spain. Now that's the experience I would like too. It's wonderful to hear them talk about a place and the things they loved. Most of my pictures are for the blog so they don't feature me. But then I still post a lot hehehe 😅 Travelling is a beautiful experience... It's also a privilege. I would like to read more on your travel... And about the planning too. You have a travel blog, so it makes complete sense. What about the others? I completely agree. One must travel only for oneself, and for the sheer joy of it. Every other kind of competitive crap is just such a waste of time and energy! Much like you, for me travel is about exploring another piece of this wonderful planet that we live on, tasting local food (because food is always a big part of whatever I do), and learning about new cultures. Our story is somewhat similar. I started traveling way too much after my marriage so much so that we can't stay at home even on weekends. I love to explore new places. Right from the first step into the new city you can taste its culture. It is amazing to interact with the locals. Life is so can be similar yet so different living in same country. My best experience till date is conversations with Kashmiris. I was in complete awe despite all the havoc created by fellow humans they never give up in finding happiness and giving it too. As for the photos, I have realized getting that perfect click hampers living in the moment and enjoying. I'm yet to visit Kashmir, I've heard it is beautiful. I love meeting people too during travel and it adds so much to the experience. I agree with u. Call it social media addiction, people travel to take pics that they can post later on their social media profiles. Travel should be for the sheer joy of discovering a new destination. Sadly, the time used to enjoy the moments is being wasted in updating social media profiles. Oh yes! The time waste is a huge loss too. Do such people even enjoy the holiday? Again, for a blog it makes total sense. I don't like putting up my pictures on the blog so it doesn't even matter to me. One or two on Instagram, that too for the photoaday prompts was what I was doing. I don't even feel like doing that now.